As organisations become larger and more geographically spread there is a tough leadership challenge. How do you engage with teams and individuals that are not physically located in the same place? Leading virtual teams, across boundaries, can amplify the leadership problems that emerge for a team located in the same location. This workshop is designed to look at the issues and the challenges involved and to help participants think through successful strategies. 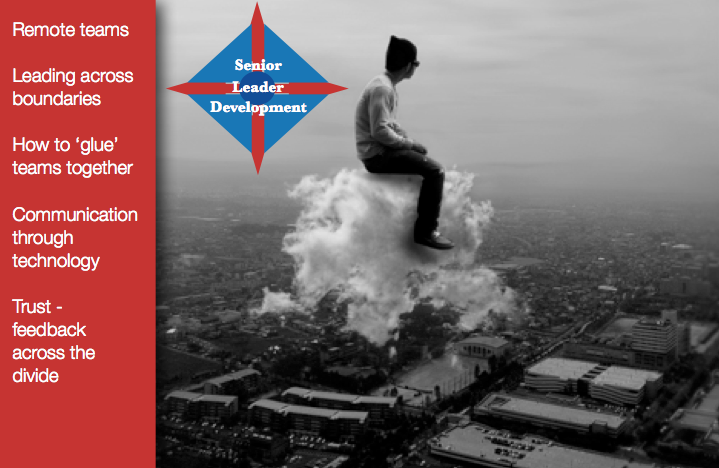 For further information on Leading Virtual Teams please downloadthe new Senior Leader Development brochureor get in touch.